I want to show you a quick and easy way to narrow down your branding options for your nonprofit website. From that, you will then have a better handle on which keywords to employ and emphasis within a given page in your website. This way people will actually find you and the specific services or opportunities you offer when they search Google. Once you have a grasp on your brand identity, you then need to have your website not only reflect that identity, but have Google understand your services and brand so that they (via a complex algorithm) may list you accordingly via probable search keywords. Using some of the above information, let’s assume that your nonprofit organization provides free legal services to homeless women and families in Los Angeles. 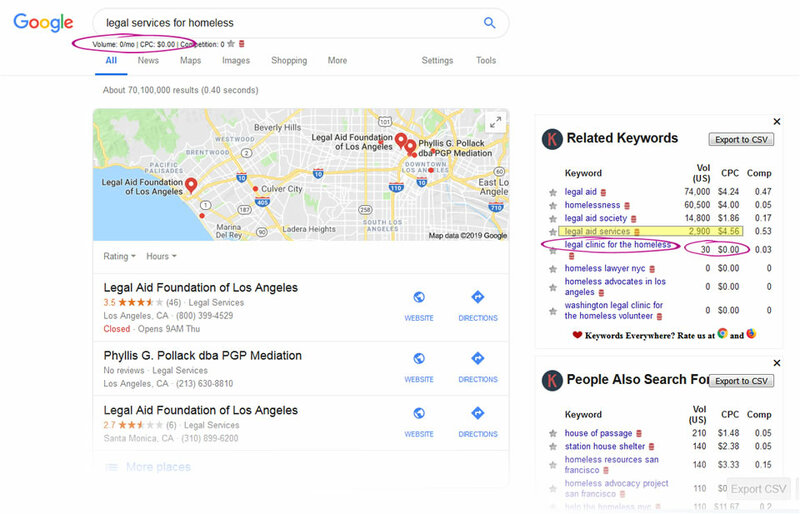 However, if you were to search “legal services for homeless”, you would see 70 million results, but with 0 per month search volume for that keyword phrase. 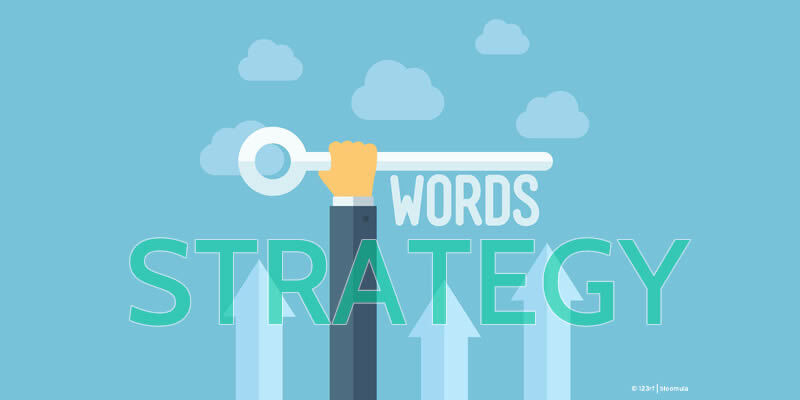 So even though it’s a very intuitive keyword phrase, one that reflects your brand, it unfortunately isn’t being Googled: people are not entering that specific keyword phrase. So, of these two recommendations, which would be the best for you? If you selected the first, because it had a much higher search volume (at nearly 3000 per month) then you would most likely fall through the cracks of all the other web pages that are vying for that keyword phrase. Why do I believe this? Well, by how much one is willing to pay to get their web page on top of the search results using that specific keyword phrase. It has a rather high search term value. One very good indicator of a search term value, and thereby its competition, is Google AdWords “CPC”, cost-per-click, listing. (Although this is only a reference, unless you are taking advantage of Google’s free AdWords program for nonprofits, it is still a very valuable tool for anyone trying to gauge the keyword competition value.) This CPC value is conveniently listed next to the search volume within your Keywords Everywhere tool results. This shows that others are bidding to be placed on the top results as much as $4.56 per click—which may translate to your listing showing at past page 5 of Google Search results or further. (Since few people will bother to go past the second page of results, your listing is essentially nonexistent.) But if you go with the second keyword phrase, you will see that the CPC for legal clinic for the homeless is $0.00. So, this just may work out for you. No one is bidding on the search term, which means that if you apply the correct SEO terms and branding to your web page, you have a good shot at placing on page 1 of Google Search results. Sure, 30 is less than 2900, but getting half of 30 is better than none of 2900. From there, it is just a matter of applying basic SEO (search engine optimization) practices. How Can We Help You With Your SEO and Keywords? Creating an effective charity website requires a skill-set like any other profession. This is what we do, and we would love making a difference with you. With your intrinsic knowledge of your nonprofit organization, and our experience at website development for charity organizations, together we could build that website that you’ve envisioned—affordably and within a proper timeline. Let’s talk! * To identify actual monthly search volume on a keyword phrase entered in Google Search, you will need to use the Keywords Everywhere tool that works in your browser.